I love Bonefish Grill!! I mean what is there not to love.. it's a seafood lovers dream, yet options for your non fishy friends! Great bar with hightops for you and the friends to hang out. But most importantly.. BANG BANG SHRIMP! 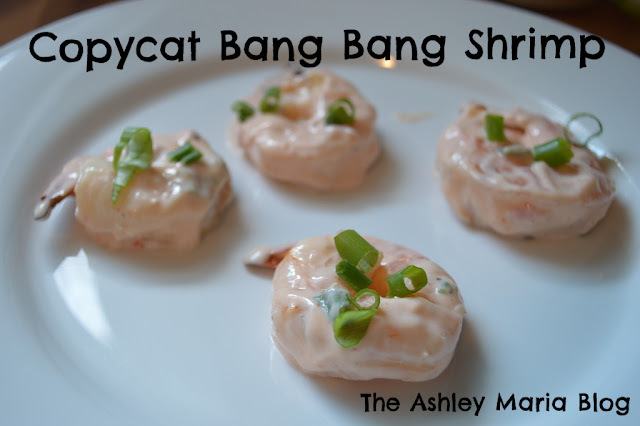 If you are a bang bang lover, then today I have a special treat for you! 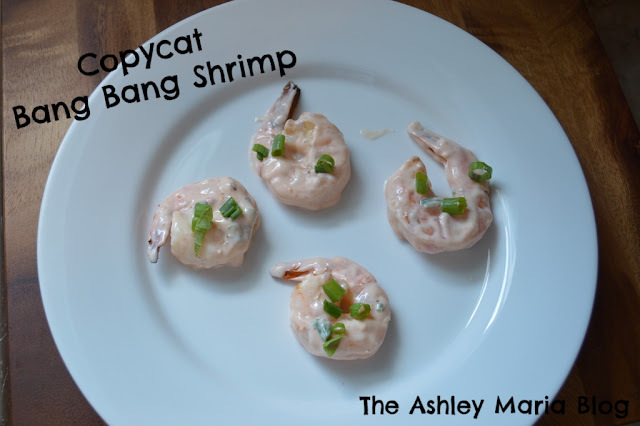 I have a very similar copy cat recipe for you! In a medium bowl, combine the greek yogurt, green onions, sweet chili sauce and sriracha sauce. If you plan to grill your shrimp, make sure your skewers are soaked in water so they don't burn. Place your desired amount of shrimp on each skewer. Grill for about 2-3 minutes or until they turn pinkish color. If you plan on baking them, place skewers on baking sheet at 350 for about 5-10 minutes or until shrimp are pinkish color. To apply sauce I removed from the skewers and dipped the shrimp in the sauce. Garnish with a little more green onions and enjoy!